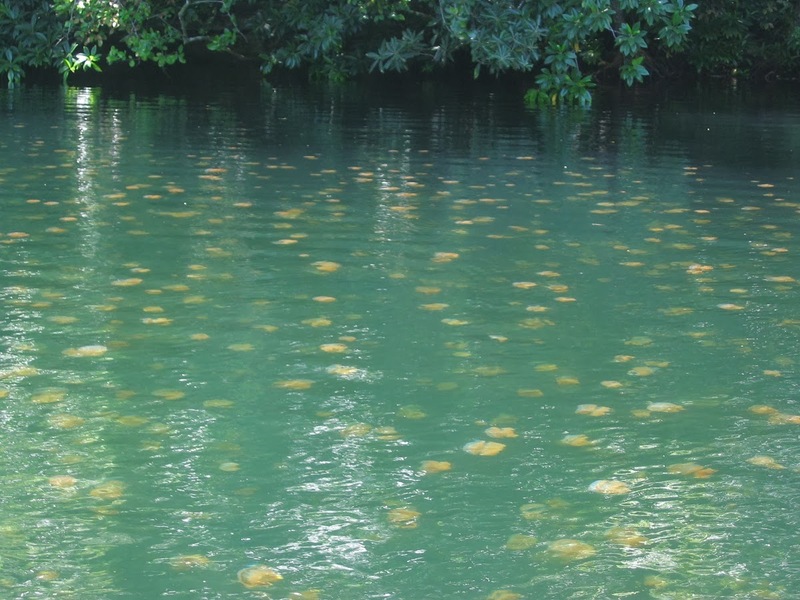 Jellyfish Lake is a marine lake filled with millions of slow floating jellyfishes. 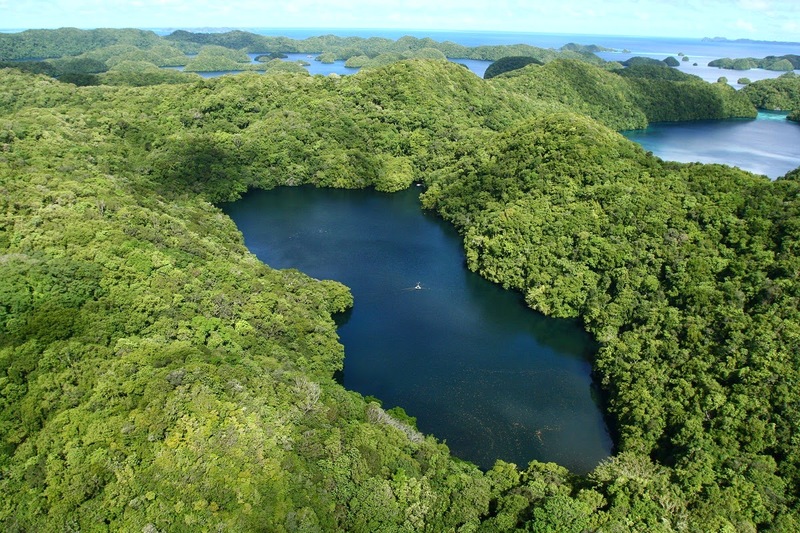 It is located on Eil Malk island in Palau. Jellyfish Lake is really small - only circa 420 meters long and up to 30 meters deep. Hundreds of years ago the lake had an outlet to the ocean but when the sea level dropped the jellyfish population were isolated in the algae-rich lake and began to thrive. Lake is meromictic - it has layers of water which do not mix. Upper layer of lake contains "common" sea water suitable for common marine species of animals. At the depth of 15 meters though happens a change - here is living a dense layer of bacteria including a purple colored ones. Below this layer there is no oxygen in lake water - and no life. Lake was formed when sea level subsided 12,000 years ago. Since then life forms in it are isolated from the rest of world. Dominant species in lake is light brown colored, up to 23 cm large golden jellyfish. In January 2005 there were estimated 31 million jellyfish. In November 2009 there are circa 4.9 millions of jellyfish. With no risk of being eaten, the jellies multiplied in the lake on the Pacific island of Palau. Over time their stings weakened and visitors can now swim alongside them with no fear of being stung.